The pilot of a small plane that crashed near Danbury Municipal Airport last month has died. The family of 63-year-old Mark Stern said he died Thursday of injuries sustained in a private plane crash on July 30. A celebration of Stern's life will be held at the Norwalk Inn at 99 East Avenue in Norwalk at 10 a.m. Wednesday. 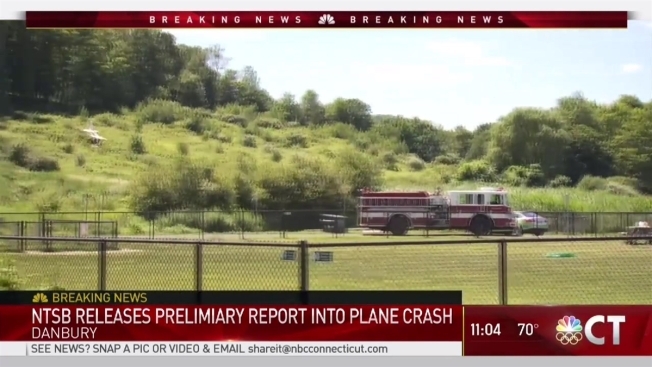 Two other people were also taken to the hospital after that Cessna 172S crashed after taking off from the airport in Danbury, just before 10:30 a.m. Authorities have not officially released any of the victims’ names, but the report from the National Transportation Safety Board says the other two victims sustained serious injuries. The FAA and NTSB are investigating what caused the crash and the NTSB says the airplane lost altitude over runway 26, a 4,422-foot-long runway, after takeoff. The plane had been inspected nine days before the crash, according to the NTSB.